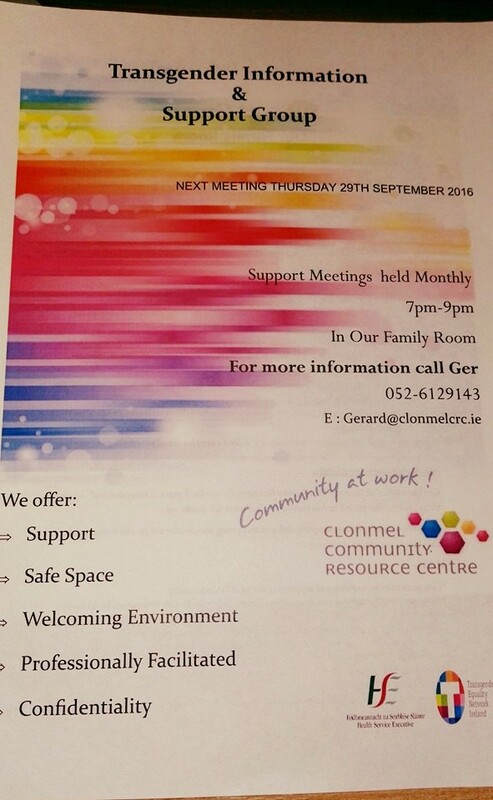 I created this page as part of the Clonmel Resource centre Page.Lgbti at The Clonmel Community Resource Centre. 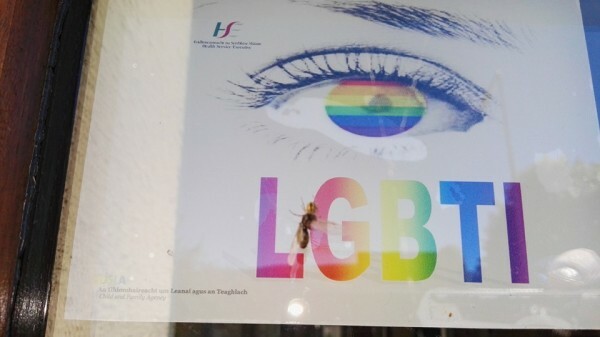 I am the Lgbti Project Worker and am working and committing myself to forming a support and information for LGBTI of South Tipperary and surrounding areas. At the moment we hold a Transgender Support Group once a month at the centre. My next mission is to set up a support group for LGB. Your comments and ideas are most welcome. Please give the page a like and a share. This entry was posted in Introduction, South Tipperary and tagged (LGBTI), Clonmel, Clonmel Resource centre, Tipperary South. Bookmark the permalink.